Long-term stability with drift is less than +0.05% of URL per year for 5-years. Co-Ni-Cr, 316L ss, and Nickel alloy (equivalent to Hastelloy® sensor materials for all transmitters. The Foxboro IGP20 is an intelligent, two-wire transmitter that provides precise and reliable measurement of gauge or absolute pressure. The Foxboro IAP10 transmits a 4 to 20mA output signal with a superimposed HART/FOXCOM digital signal. This can be used to monitor and remotely configure the Foxboro IGP20. 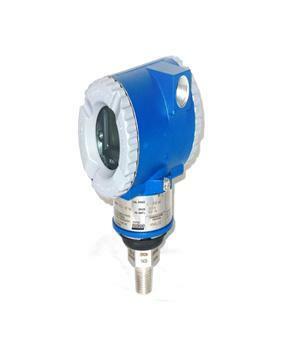 Measures Pressure And Transmits A Proportional Electrical Signal In Either Analog Or Digital Mode. Multiple ATEX Certifications - ATEX Intrinsically Safe; II 1 GD, EEx ia IIC, Zone 0; Or II 1/2 GD EEx ib IIC, Zone 0 / Zone 1; Or ATEX Protection n, II 3 GD, EEx nL IIC, Zone 2; Or ATEX Flameproof, II 2 GD EEx d IIC, Zone 1. The User Is Required to Permanently Mark In A Box On The Data Plate One Type Of Protection Only (ia & ib, d, or n) And Not Change This Mark. CSA Intrinsically Safe For Class I, Division 1, Groups A, B, C, & D; Class II, Division 1, Groups E,F, & G; And Class III, Division 1. Also Class I, Division 2, Groups A,B,C, & D; Class II, Groups F & G; And Class III, Division 2. Explosionproof For Class I, Division 1, Groups B,C, & D; Dust-Ignitionproof For Class II, Division 1, Groups E,F,G; And Class III, Div 1. Zone Certified Intrinsically Safe Ex ia IIC And Ex n IIC. Dual Seal Certification per ANSI/ISA 12.27.01.2003. CSA Zone Certified Flameproof Ex d IIC. Also Explosionproof For Class I, Division 1, Groups B,C & D And Dust-Ignitionproof For Class II, Division 1 Groups E,F & G, And Class III, Division 1. Also Intrinsically Safe For Class I, Division 1, Groups A,B,C & D; Class II, Division 1, Groups E,F & G; And Class III, Division 1 And Class I, Division 2, Groups A,B,C, & D; Class II, Groups F & G; And Class III, Division 2. Zone Certified Intrinsically Safe Ex ia IIC And Ex n IIC. Dual Seal Certification per ANSI/ISA 12.27.01.2003. FM Intrinsically Safe For Class I, Division 1, Groups A, B, C, & D; Class II, Division 1, Groups E,F, & G; And Class III, Division 1. Also Class I, Division 2, Groups A,B,C, & D; Class II, Groups F & G; And Class III, Division 2. Explosionproof For Class I, Division 1, Groups B,C, & D; Dust-Ignitionproof For Class II, Division 1, Groups E,F,G; And Class III, Div 1. Zone Certified Intrinsically Safe AEx ia IIC And AEx n IIC. FM Zone Certified Flameproof AEx d IIC. Also Explosionproof For Class I, Division 1, Groups B,C & D And Dust-Ignitionproof For Class II, Division 1 Groups E,F & G, And Class III, Division 1. Also Intrinsically Safe For Class I, Division 1, Groups A,B,C & D; Class II, Division 1, Groups E,F & G; And Class III, Division 1 And Class I, Division 2, Groups A,B,C, & D; Class II, Groups F & G; And Class III, Division 2. Zone Certified Intrinsically Safe AEx ia IIC And AEx n IIC. NACE Standard MR-01-75 Process Wetted Parts Comply With The National Association Of Corrosion Engineers (NACE) Standard MR-01-75. 2-Valve, CS, Conventional Mtg Anderson, Greenwood 2-Valve Bypass Manifold With Carbon Steel Body/Bonnet, 303 ss Stem, 17-4 pH ss Ball, And Conventional Mounting. 2-Valve, SS, Conventional Mtg Anderson, Greenwood 2-Valve Bypass Manifold With 316 Stainless Steel Body/Bonnet, 316 Stainless Steel Stem And Ball, And Conventional Mounting. 2-Valve, SS, Monel Stem, Conventional Mtg Anderson, Greenwood 2-Valve Bypass Manifold With 316 Stainless Steel Body/Bonnet, Monel Stem And Ball, And Conventional Mounting. 2-Valve, CS, Manifold Mtd Option Anderson, Greenwood 2-Valve Bypass Manifold With Carbon Steel Body/Bonnet, 303 ss Stem, 17-4 pH ss Ball, And Manifold Mount Option. 2-Valve, SS, Manifold Mtd Option Anderson, Greenwood 2-Valve Bypass Manifold With 316 Stainless Steel Body/Bonnet, 316 Stainless Steel Stem And Ball, And Manifold Mount Option. 2-Valve, SS, Monel Stem, Manifold Mtd Option Anderson, Greenwood 2-Valve Bypass Manifold With AISI Type 316 Stainless Steel Body/Bonnet, Monel Stem And Ball, And Manifold Mount Option. Compliance Certificate The certificate states that the instrument is in compliance with all Invensys Foxboro published documentation (PSS, MI, DP, PL, etc.). Certificate Of Conformance The certificate states that the technical/quality portion of customerspurchase order has been reviewed by quality engineering and that the instrument is in conformance with the customerstechnical purchase order requirements as well as Invensys Foxboro documentation. Customer purchase order must be forwarded to Order Management, B52-AB, the same time the order is entered. "Project Orders" a Cert "A" should be ordered"
Material Certificate - Non-Specific - BS EN 10204 2.1 The certificate lists the instrument process wetted metallic parts by material, part number, and description of piece part. It also states that other evidence of conformance/compliance can be provide. Traceability to individual heat numbers is not available and the non-specific material certificates are not supplied. This certificate does not include resale options such as seals and bypass manifolds. CERT-C is signed and dated by the appropriate Quality Engineer or other qualified personnel. Material Certificate The certificate lists the instrument process wetted metallic parts by material, part number, and description of piece part. The material certificates are included and it states that the instrument conforms to BS EN 10204 3.1 (formerly DIN 50049 3.1.b). 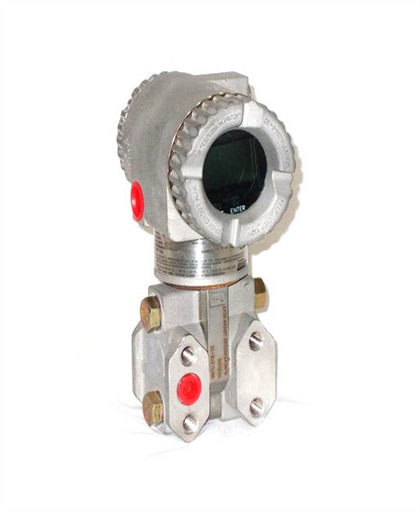 When the instrument includes an accessory item of manifold valve assembly, IFO/IFOU Integral Orifice, or a Pressure Seal, specified by use of an AS Reference or Linked Model Code, the certificate applies to both the instrument and the accessory. Calibration Certificate The certificate shows calibration data for the instrument along with statement that calibration test equipment used is traceable to the National Institute of Standards and Technology (NIST). NIST was formerly called the National Bureau of Standards (NBS). Certificate Of Pressure Test The certificate states that the instrument has been pressure tested for one minute, or as required per standard, without leaks. The test pressure depends on the Maximum Working Pressure (MWP) of the instrument. Test pressure equals 1.5 times MWP for MWP of 100 to 5000 psi (0.7 to 35 MPa), 1.4 times MWP for MWP over 5000 and up to 10000 psi (35 to 70 MPa), 1.3 times MWP for MWP over 10000 and up to 20000 psi (70 to 140 MPa), 1.2 times MWP for MWP over 20000 and up to 25000 (140 to 175 MPa), and 1.1 times MWP for MWP over 25000 psi (175 MPa). Certificate Of Cleaning The certificate states that the instrument has been specially degreased, cleaned for oxygen service, cleaned for chlorine service, etc., to minimize contaminants to the end usersprocess, with special tagging and packaging per Invensys Foxboro cleaning standard CES 260. Note: The cleaning option (OS-W, OS-FC, CLS, etc.) must be added to the base instrument. Weight Certificate The certificate lists the unpackaged weight of the instrument in kilograms, including any and all options that are (or will be) physically attached. SASO Certificate Certificate of conformity in execution of SASO Board of Directors; decision No. 58 dated 1405 (H)-09-17 and SASO SSA 16, 17, 18, and 86. Electrical Agency Certificate Copy of approval paperwork received from agency (FM, CSA, CENELEC, etc.) showing approval numbers. NACE Certificate The certificate states that the metallic process wetted parts of the instrument are in compliance with the National Association of Corrosion Engineers (NACE) Standard MR-01-75 and MR01-03 in regards to resistance to sulfide stress cracking. Some products require that auxiliary specification "MR-01" be specified and priced. Refer to appropriate instrument sections of Price Book. SIL 2 Certificate This declaration of conformity states that the listed models have been assessed to applicable IEC 61508 requirements in support of SIL 2 applications and lists the key SIL parameters. Includes the signature of the Manager of Product Qualification. PMI Certificate of Process Wetted Parts Certificate of Positive Material Identification. Provide PMI testing and certificate stating that the pressure wetted material(s) on this order are in conformance with the applicable ASTM standards. Testing provided in-house at Invensys/Foxboro facility using a non-destructive X-ray reflective analysis (XRF) analyzer (Bruker S1 Turbo). SIL 2-TUV Certificate A safety certificate provided by TUV meeting SIL safety requirements. ASME Weld Certificate This certificate states that all welds produced at Invensys/Foxboro on this order were performed in accordance with ASME Section IX of the Boiler Code.